Sharon, CT: Troutman Press, 1967. Cloth. Fine/Very Good +. 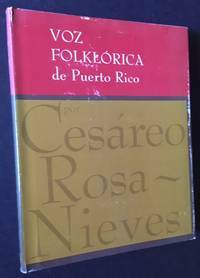 A tight, solid copy of the 1967 1st edition. Clean and Fine in a crisp, price-intact, VG+ dustjacket, with light rubbing at the panels and the flap-folds, and several very small closed tears along the top-edges. Quarto, 128 pgs. Text in Spanish. Mount Vernon, NY: The Peter Pauper Press, 1936. Hardcover. Near Fine/Very Good +. Valenti Angelo. INSCRIBED BY VALENTI ANGELO at the limitation. A handsome copy to boot of the 1936 1st thus, #758 of 950 copies issued. Tight and Near Fine in its lovely decorative boards. And in a crisp, VG example of the publisher's glassine dustjacket (with light chipping along the spine) and a solid, VG+ example of the light-blue card slipcase. Octsavo, deckled fore-edge, nicelyu illustrated thruout by Valenti Angelo. Philadelphia (Tokyo): Macrae-Smith Company (T. Hasegawa). Original wraps. Near Fine. Part of the wonderful "Japanese Fairy Tale" series, originally published (in a smaller format) by T. Hasegawa of Tokyo in very late 19th/early 20th century and here presented for an American audience in its larger format by the Macrae-Smith Company of Philadelphia. 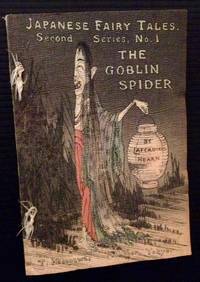 These 5 self-contained fairy tales have in common the sure translations of the great Lafcadio Hearn. They're also neatly contained in Macrae-Smith's printed blue cloth chemise (which shows very light rubbing and foxing at the front panel), with ivory clasps. All 5 of the fairy tales are vibrant and near-pristine in their ribbon-tied crepe paper, with rich illustrations from colored woodblocks. All of the volumes appear to be original printings in this American format and they most likely date from the 1895-1930. The 5 volumes are: "The Boy Who Drew Cats"; "The Old Woman Who Lost Her Dumpling"; "The Goblin Spider"; "The Fountain of Youth"; and "Chin Chin Kobakama"
Tokyo: T. Hasagawa, 1930. Wraps. Near Fine. A lovely example of this uncommon offering in the "Japanese Fairy Tales" series, published by T. Hasegawa of Tokyo, circa 1930. Clean, bright and Near Fine to Fine in its string-tied terrycloth, with nicely-reproduced color woodblocks thruout. 64mo, text rendered into English by the great Lafcadio Hearn. 1885. Paperback. Very Good. The 1885 second edition of Vol. 3 ("Battle of the Monkey and the Crab") in the wonderful, late 19th century Japanese Fairy Tale Series. Bound in printed, thin terrycloth, this frail title has held up nicely in its ribbon-tied wrappers. Well-preserved and VG, with lovely color plates thruout. A bit of wear at the panel edges and light foxing to the rear panel. Otherwise very solid --and very handsome. Philadelphia: Porter & Coates. Decorative Cloth. Collectible; Very Good. 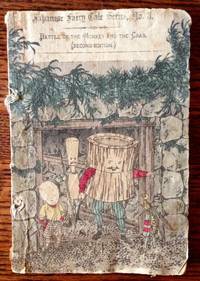 Early 20th century reprint of this classic 19th century German children's cautionary tale. Solid and VG- in its pictorial dark-yellow cloth, with bright gilt-lettering and device at the front panel and spine. Darkening along the front panel edges and light soiling at the rear panel. Still though, attractive and presentable. Quarto, very impressive chromolithographed plates thruout. New York: The Vanguard Press, 1965. 1st. Cloth. Collectible; Very Good/Very Good. A solid copy of the 1965 1st edition. Tight and VG+ in a bright, price-intact, VG+ dustjacket, with very light soiling to the rear panel. Octavo, nicely illustrated thruout by Lino S. Lipinsky. Brussels: Les Editions Historiques. Cloth. Collectible; Very Good. 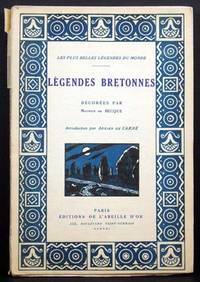 The complete 3 volume set of this exhaustive study of Belgian folklore, c early 1930s. Each volume is solid and VG in its mustard-yellow cloth, with bright gilt-lettering to the front panels and lightly-rubbed lettering along the spines. Tall quartos, hundreds of black-and-white photos (and line drawings) thruout. London: John Scott and Thomas Ostell, 1803. Half-Leather. Collectible; Very Good. The 1803 1st "John Scott" edition, with the 36 remarkable Holbein copper-plates (and further etched by David Deuchar). A dual text edition, with the descriptions of each plate in both French and English. Bound in half period-calf over marbled boards. A degree of scuffing and wear at the leather, notable chipping and label loss at the spine. Light foxing at specific points in the text but the plates are clean and bright and have held up very nicely. In spite of the (forgivable) flaws, still sturdy and VG-. 12mo, painted by Holbein in the Town House of Basil. Berlin: Hundertjahrs Ausgabe Im Askanischen Verlag, 1940. Collectible; Very Good. The 1940 1st thus, bound in full vellum and including the original printed dustjacket. Clean and solid and VG+ in a bright, VG dustjacket, with mild darkening and creasing along the spine. 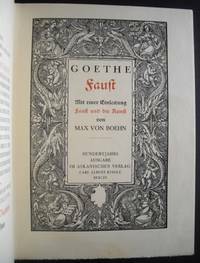 Thick quarto, 449 pgs., tipped-in black-and-white plates by Max Von Boehn thruout. Text in the old script, the fracteur. 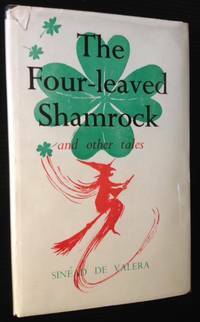 Also includes an uncommon example of the publisher's printed slipcase, which has held up well and is solidly VG. A lavish, wartime edition of "Faust"
Copenhagen: Gyldendal, 1945. Original Wraps. Collectible; Very Good. A crisp copy of this attractive children's edition of Aesop's Fables. 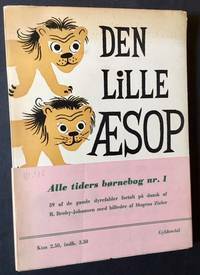 Published out of Copenhagen in 1945 and very nicely illustrated in color by R. Broby-Johansen, this copy also includes the publisher's original printed wraparound band. Octavo, uncut pages, clean and VG+/. Cardiff, Wales: University of Wales, 1985. Cloth. Collectible; Very Good/Very Good. The 1985 reprint. Solid and VG+ in a bright, VG+ dustjacket, with very light soilng at the rear panel. Thick octavo, 389 pgs. Suffolk, England: Boydell & Brewer Ltd, 1988. 1st. Cloth. Collectible; Fine/Fine. A clean, well-preserved copy of the 1988 1st edition. Tight and Fine in a bright, Near Fine dustjacket. Octavo, 214 pgs. Vol. XVIII in Boydell's "Arthurian Studies" series. London: Frederick Etchells & Hugh Macdonald, 1930. Decorative Cloth. Collectible; Very Good. The 1930 1st thus, limited to 540 copies and beautifully illustrated by Hester Sainsbury. VG in its light-blue patterned boards, with light offsetting at the front and rear endpapers. Quarto, 179 pgs., deckled edges. London: The Fortune Press. Decorative Cloth. Collectible; Very Good/Very Good. Handsome early 20th century reprint (c. 1920), based on the 1802 12th edition. The beautiful colored woodcuts photographed from that edition (housed at the British Museum) as well. VG (with light fading at the spine base and several closed tears to the front endpapers) in a bright, VG- dustjacket, with detached rar pael and 1" chip at the spine base. Still though, a very presentable copy. 12mo, 108 pgs., deckled fore-edge. New York: Thomas Y. Cttowell Company. Decorative Cloth. Collectible; Very Good. Gilt-decorated cloth edition of The Rubaiyat, inscribed by the redoubtable Willy Pogany on the half-title. "The First and Fourth Renderings in English Verse by Edward FitzGerald", c. 1940. 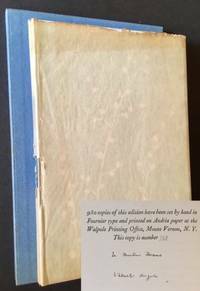 Solidly-bound and VG-, with light staining at the front panel and light fading to the spine. Quarto, 96 pgs., beautifully-illustrated thruout. Signed by Illustrator. Paris: Editions De L'Abeille D'Or, 1921. Original Wraps. Collectible; Very Good. The 1921 1st edition, in its original decorative wrappers. Solid and VG, with light chipping along the spine. Internally, clean as could be, with the color plates --and decorated pages-- bright and immaculate. Quarto, wonderfully illustrated by Maurice De Becque. Berlin: Alfred Holz Verlag, 1958. Decorative Cloth. Collectible; Very Good. Handsome German retelling of the Peter and the Wolf tale. Clean and bright and VG+ in its decorative cloth. Oblong octavo, beautifully illustrated thruout by Frans Haacken. Palermo, Italy: Edizioni "Il Vespro", 1978. Original Wraps. Collectible; Very Good/Very Good. Handsome re-issues of the 19th century Sicilian folktales of Giuseppe Pitre. The 4 volume set, all in their original wrappers AND in their pictorial dustjackets. Light wear at several of the jacket spine ends but still clean and solid and VG. Thick 16mos, 1,686 pgs. all told. Edited by Aurelio Rigoli, preface by Aurora Milillo.